Head down to the Destin Harbor for mesmerizing magic courtesy of Noah and Heather Wells! This acclaimed Magic Show features mind-blowing illusions, comedy and more. 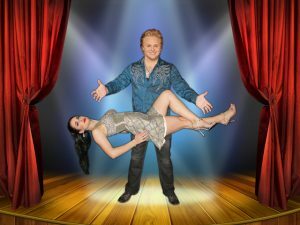 Over the years, MAXIMUM Magic starring Noah and Heather Wells has entertained thousands with one-of-a-kind illusions and feats of skill! This magical production takes place in the Destin Harbor overlooking the beautiful Harborwalk Village. With state of the art lights, sound, and special effects, MAXIMUM Magic isn’t your typical Destin magic show. 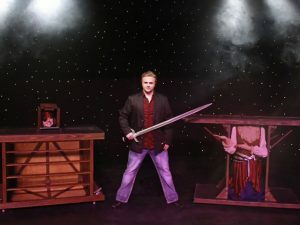 Combining mind-blowing illusions, comedy, mentalism, special effects and more, guests are treated to a Vegas-style magic show on the Emerald Coast. Merlin Award winner Noah Wells’ has entertained thousands over the years with his unique style of magic and showmanship. Together with his wife and partner Heather, Noah has established a reputation as the premier magician in the region. With a healthy dose of audience participation, and an all-ages atmosphere, MAXIMUM Magic is a bonafide hit! MAXIMUM Magic is made for all-ages! Whether looking for a kid-friendly activity, or a date-night idea, MAXIMUM Magic has something for everyone! Noah Wells has been showered with accolades since the beginning of his career on the Emerald Coast. The 2011 and 2012 Merlin Award Winner has his own day in Panama City Beach among other impressive awards! No one is safe from the magic at MAXIMUM Magic! Noah and Heather integrate the audience into almost all of their illusions, mind-reading, and incredible feats. Book your advance tickets online with for guaranteed seating and discounted tickets. OkaloosaIsland.com is your source for accommodations, things to do, dining and more on Okaloosa Island in Fort Walton Beach, FL. OkaloosaIsland.com is a TripShock affiliate. TripShock is the Gulf Coast’s leading source for online activity booking.